Tax season is like the shadow in the alley or the monster under the bed. You know it is there, but you’re afraid to look and see what it actually is. 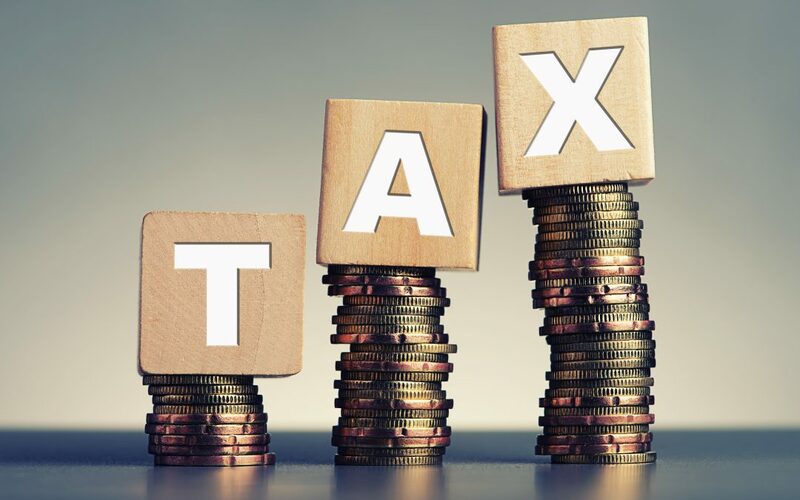 Most people are intimidated by taxes, they are certain that they are complicated, and because of this fear, they don’t learn everything they can about taxes. What you don’t know can really hurt you. Taxes don’t have to be frightening, they just need to be a combination of being organized (or as close to it as you can get) and a little record keeping. Many small businesses elect to have a tax professional do their taxes because they don’t know what they are doing. We are all very uncomfortable with the idea of making a mistake and I like the reassurance of knowing that someone I trust to do a good job is working on my taxes. But the question for me, like most small businesses, is what do I need to bring my tax pro to make sure that they have all the information they need to do the job accurately? Think of tax season as you would think of running a marathon. You don’t start sprinting, you keep a calm and steady pace to reserve your energy for as long as possible, then sprint at the end. When we are here in January, it is time to sprint. Here are some of the things you’ll want to hand over to your tax pro to ensure accurate reporting. Remember, they can only work with what you give them. Income Statement – This means any earnings that you had, bring the records for them. Your bank account, your PayPal ledger, any online software you used to invoice that kept record of incoming funds, any checks you cashed, all of it. It is your responsibility to know what you made, and this is the whole foundation of what you’re going to need in order to file your taxes properly. After all, it is an income tax. Not going to do you much good if you don’t know what you made, is it? Receipts and records of expenses – The beauty of being a business owner is that you can write off business expenses. All of that beautiful stuff comes with a caveat: you have to be able to show what you spent, usually in the form of a receipt. For expenses under $75, you don’t HAVE to show a receipt, but you need to explain what the expense was and when it occurred. This is when you need to put your record keeping hat on. It doesn’t matter what method you use, but use one, whether it is snapping a picture of your receipt and putting it in a special file on your phone, or the old school shoebox. You need to be able to show what you spent your money on if you are writing it off as a business expense. Assets – If you acquired any assets for the business that have appreciated or depreciated in value, you need to report that as well. Those expenses are deductible and anything that is deductible is your friend. Keep these records and turn them over to your tax professional along with everything else. Payroll reports – If you have hired anyone, it is time for you to break out your payroll report! What have you been paying them, and how? Bring along the appropriate tax documents, such as w-2s or 1099s so you can have your records accurately reflected. Home office – Do you have a home office? Did you know that you can write off a portion of your rent or mortgage if you do? The IRS allows this, but it also pays close attention to what you are reporting. Bring the pertinent information, such as the square footage and the amounts you pay to the accountant so they can determine if this is a good deduction for you to claim. Inventory reports – Does your business sell items or goods? You need to bring a report with the number of items and the value of each. Loan documentation – Do you have a business loan? That goes on your list of liabilities which can offset the assets your business has. EIN, and your filing status – Are you incorporated? Are you an LLC? Are you a Sole Proprietor? All of those filing statuses have different requirements and different documents. Know what your filing status is in order to get your taxes filed correctly. Advertising – Did your business run any ads this year? This is one of the expenses you need to include that can be easy to forget. Don’t forget to include whatever you spent from your advertising budget in your expense reports. Did you drive or fly? You’ll need to have mileage report or receipts of your expenses. Lodging – Where did you stay? That is an expense that needs to be recorded. Uber/Lyft/Taxi – Did you drive around the city or pay a service to take you? Keep those receipts and write it off! Meals – Be certain to keep all of the receipts for your meals while you are traveling for business and you’ll have another receipt to add to the shoe box. Gathering all of your documents may be intimidating but you are going to be able to get into practice so you can ensure your coming year that you will have no issues with filing. Your tax professional will always be available to provide guidance on what you should be recording by way of expenses, how long you should be keeping records, and what pieces of information are going to be most useful to them. Be certain to respond in a timely fashion to help them complete your projects on time, and tax season will be a lot less stressful from now on!